Why the increased interest in British grown flowers? Since writing my first blog I have researched the resurgence of interest in British grown flowers and thought it would be a good idea to share my findings with you. Let me know what you think! Three decades ago British flowers dominated the markets. Florist Shane Connolly says of his first trip to London’s Covent Garden Flower Market “The first thing that hit me was the scent. The flowers were mainly English and seasonal”. In the years that followed, growers – first in Holland and then in Kenya, Ecuador and Colombia and now in Ethiopia, swamped the UK market with competitively priced, standardised, all year round cut flowers, to such an extent that today over 80% of flowers sold in the UK are grown in other countries. 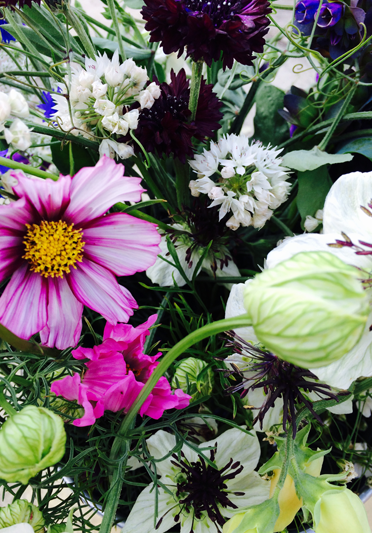 Slowly but surely the British cut flower industry has been mounting a comeback. New smaller flower farms have started springing up around the country, growing and selling flowers at farmers markets, at the farm gate, to local florists and online. The Royal Wedding in April 2011, with the memorable and ground-breaking displays of seasonal British flowers by Shane Connolly, put British flowers firmly back in the spotlight. The increased media coverage regarding this topic has led to an increase in the number of consumers interested in buying local. “British flowers are grown not flown. The average flower miles of our bouquets are less than a tenth of their foreign counterparts.” says the owner of the Great British Florist. There is also an element of nostalgia attached to buying local, evoking Laurie Lee style memories for those brought up in the country. The organisers of Stroud Farmers Market say only items that are produced within Gloucestershire can be sold at their markets, so that customers who visit their market can feel reassured that if they make purchases there, they are always buying things that have been produced locally and therefore are supporting local growers. The promotion of British grown flowers has also been helped by television programmes such as Countryfile, which often discusses the flowers and foliage native to Britain and how this in turn, helps the country’s biodiversity, as the flowers provide food and habitats for a huge variety of butterflies, bugs and bees. During one such programme Countryfile offered free “Grow Wild” seed packets containing a colourful mix of UK native wild flower seeds for adults and children to grow. The packets contained seeds for a number of different flower varieties such as cornflowers, cowslips and ox eye daisies – all of which look beautiful when naturally arranged and placed in a jar on the kitchen table. So next time you want to send a thank you bouquet, when you want to celebrate, or commiserate, or just make the kitchen table look beautiful, consider buying local, lovingly grown blooms, and help the British Flower industry grow again, as well as filling your house with beauty.  Flowers by Ellie are proud of the relationship they have developed with Katharine’s Farm Flowers, a small flower farm based just outside Wotton under Edge in Gloucestershire, who produce an abundance of native British flowers each year. Please let us know if you would like your flowers to originate from here when placing your order with us. So why do we need a British Flowers Week?